The focus and mission of this task force is to bring Colorado’s forensic psychologists and supportive others together in the interest of identifying needs and promoting change within the state’s forensic mental health system. Successful initiatives have included testimony at the house and senate, which ultimately resulted in obtaining privileges for qualified forensic psychologists to conduct sanity evaluations (as opposed to the previous legislation limiting those to only psychiatrists). Subsequently, this task force also successfully changed the decades old cap on rates for qualified forensic psychologists who perform certain types of specific forensic evaluations. Future goals include improving re-integration and adjustment of mentally ill offenders into the community, improving the quality of court related professional activities that involve forensic psychologists, and bringing forensic psychologists across Colorado together for dialogue pertaining to issues that affect our work. In June of 2014 Governor Hickenlooper signed legislation to create a Task Force to address Law Enforcement PTSD, suicides and mental health issues. One of the main goals of the committee was to develop legislation for the inclusion of law enforcement PTSD as a reimbursable injury under the Workers Compensation Program. Currently the Workers Compensation system considers the development of PTSD as a typical part of the law enforcement Officers' duty requirements and therefore, is not a reimbursable treatment expense. The goals of the committee are to educate the legislators as well as the insurance providers on the concept and contamination process of PTSD along with developing legislation to get that clause eliminated from the reimbursement policy. The committee did submit legislation last year, but it was killed in committee by a vote of 3-2. The committee is attempting to resubmit the legislation in the 2017 legislative cycle. Providing psychological treatment and evaluations for injured workers involves working with multiple insurance carriers and being educated about what services can be provided under the Workers’ Compensation Statute as well as what documents are needed to help provide injured workers the most efficient and quality psychological care. The taskforce was developed to provide a voice and support for psychological care and was developed in response to physicians utilizing psychological screening tools in a manner that was deemed by the CPA and the taskforce to be inappropriate. Members of the taskforce attend the various Division of Workers’ Compensation Stakeholder’s meetings representing the CPA. 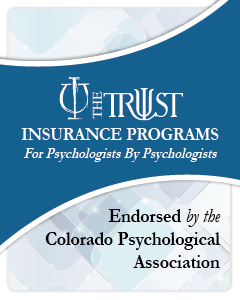 In 2015 the taskforce was instrumental in educating the Division of the value of psychology and was able to not only stop a proposed decrease in fees but was able to increase the fees paid to psychologists. There continues to be on-going concerns involving biofeedback, psychological and neuropsychological assessment. Presently, the taskforce is providing feedback concerning possible changes in the statute regarding mental impairment. A long-term goal is allowing psychologists to become Level I and/or Level II Accredited providers. This would involve a significant positive change in the existing Workers’ Compensation law.